Now outgoing SMTP server will not send mails without authenticating. This procedure is only valid for the users who uses POP3 and IMAP protocols to send out mails from tifr.res.in account. 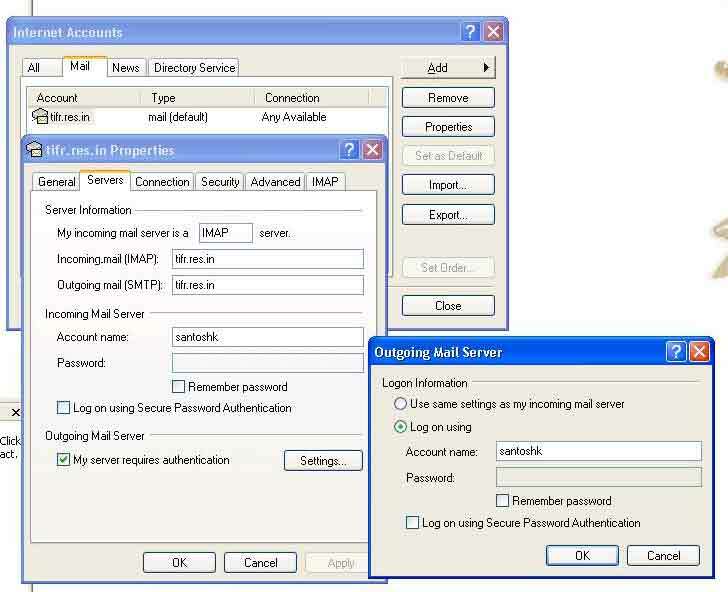 Outlook express, Microsoft Outlook, Mozilla Thuderbird settings are illustrated below. Users Who uses openwebmail or pine need not to do anything. Click "Server" tab in the bottom and Select the check box "My server requires authentication" and click on "settings"
Click OK in all windows to finish settings. Click on "More Settings" -->In the new windows click on on "Outgoing server". 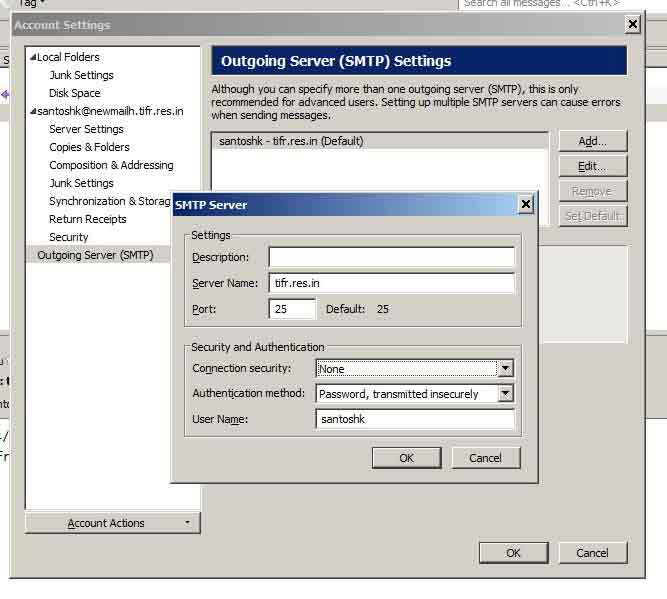 Select the check box "My outgoing Server (SMTP) require authentication and select "Log on using" and enter "User Name " for eg santoshk and click OK.
Click "Next" to finish the settings. close the Accounts window. In "Security and Authentication" pane select "Connection security" to "None" , Authentication method to "Password, transmitted insecurely" and enter User Name for eg santoshk and click OK.
Click Ok to finish settings.